What are the indirect effects of parasites and pesticides on pollination service? Ecologist Sandra Gillespie, a postdoctoral researcher in the Neal Williams lab, UC Davis Department of Entomology and Nematology, will present the results of her research at a departmental seminar from 12:10 to 1 p.m., Wednesday, Oct. 16 in 122 Briggs Hall. It will be recorded for later posting on UCTV. Gillespie delivered a similar presentation at 2012 meeting of the Pacific Branch of the Entomological Society of America. Gillespie, a postdoctoral researcher at UC Davis since 2011, received her bachelor’s degree in biology from Simon Fraser University, Canada, and her doctorate in both entomology and organismic and evolutionary biology from the University of Massachusetts, Amherst. As a postdoc in the Williams lab, Gillespie is examining the mechanisms behind yield declines in hybrid onion seed production in California, with the goal of developing sustainable recommendations for producers. Gillespie will be leaving UC Davis the first week of December; she has accepted a position at Simon Fraser University (starting Jan. 1) to work as a postdoc with Elizabeth Elle in the biology department. "I'll be studying pollinator-mediated selection in a community and landscape context," she said. 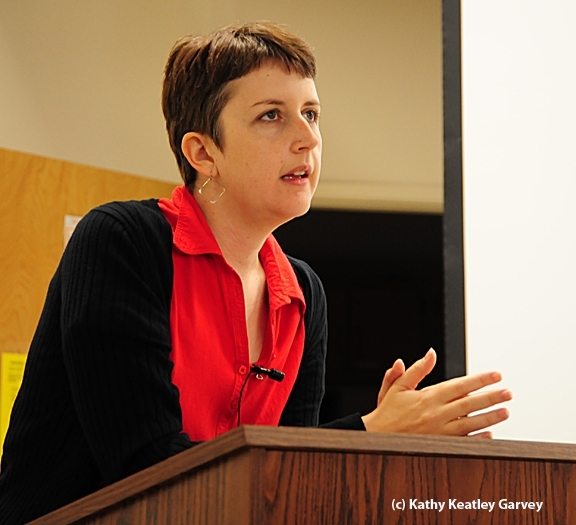 Her research on “Factors Affecting Parasite Prevalence among Wild Bumble Bees,” was published in Ecology Entomology, 2010. She has also published her work in the American Journal of Botany (“Variation in the Timing of Autonomous Selfing among Populations that Differ in Flower Size, Time to Reproductive Maturity, and Climate,” 2010) and Annals of the Entomological Society of America (“Laboratory Rearing of North American Tiger Beetles (Coleoptera, Carabidae: Cicindelinae,” 2011). 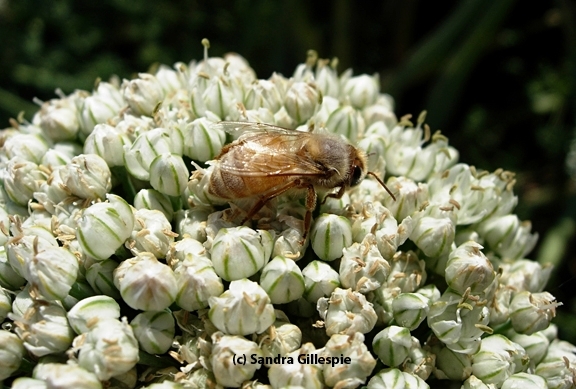 Pending publication in the Journal of Economic Entomology: “Insecticide Use in Hybrid Onion Seed Production Affects Pre- and Post-Pollination Processes,” the work of Gillespie, Neal Williams, Rachael Long and Nicola Seitz.